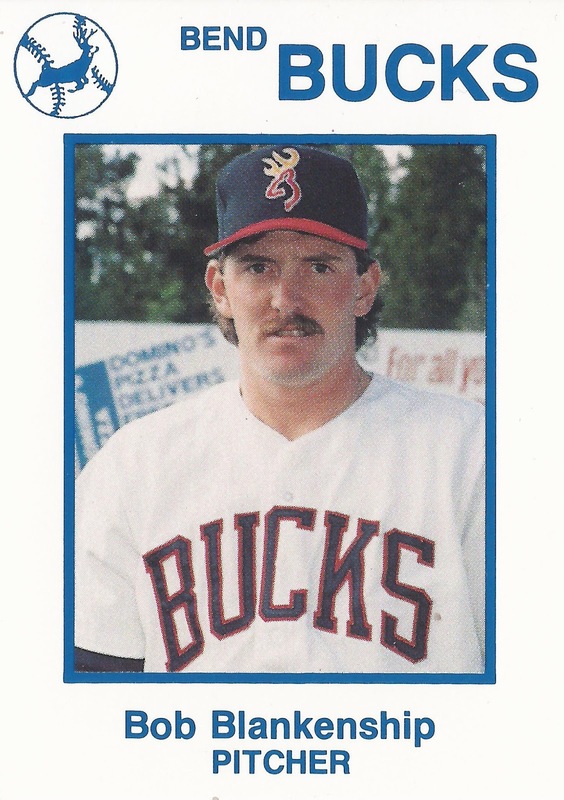 Bend Bucks manager Mike Bubalo needed a reliever in this July 1990 game, just the situation proved a bit unusual, according to The Bend Bulletin. "When he first asked me, I thought he meant the ninth inning," Bend reliever Bob Blankenship told The Bulletin. "But he said now." A lineup card error meant Bubalo's first choice was ineligible. So, he turned to Blankenship. Blankenship responded with hardly any warm-up by setting down all six batters he faced, The Bulletin wrote. Blankenship pitched that relief outing in his second professional season. It also turned out to be his last pro season. Blankenship never made single-A. 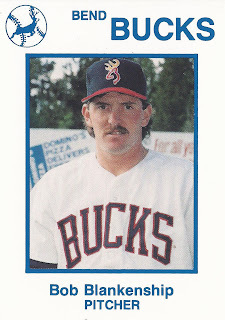 Blankenship's career began in 1989, taken by the Reds in the 21st round of the draft out of Cal State Sacramento. He also attended Cypress College and El Dorado High School in California. Blankenship started with the Reds at rookie Billings. He got into 13 games there, all starts. He went 3-7, with a 5.78 ERA. He moved to short-season Bend for 1990. In 27 outings there, all in relief, Blankenship went 2-4, with a 1.36 ERA. He saved 12 games, but he didn't return for 1991.